When I decided to head to Texas with the kids this summer, I knew I wanted to do something really Texas. Like tumbleweed blowing in the wind crying cowboy country song Texas. I did some research on the best Dude Ranches in Texas and most of the sites agreed that the Mayan Dude Ranch in Bandera, Texas was the place to go. I actually waited a few days to write this piece because I wanted to savour the memories by myself. Here is why the Mayan Dude Ranch in an incredible family vacation. 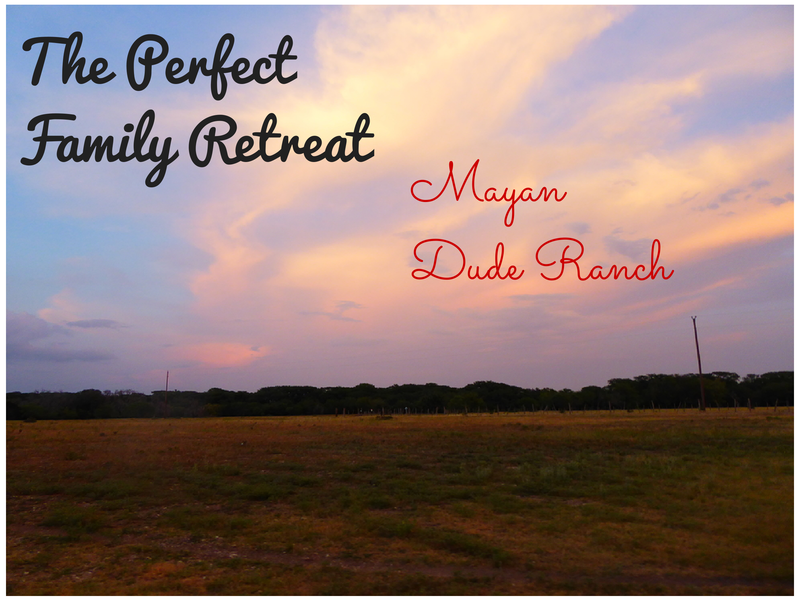 Established in 1951, the Mayan Dude Ranch is all about family. The walls of the main bar, restaurant and office are lined with family photos of the people who run the ranch. Since the beginning, the Mayan Dude Ranch has been run by the Hicks family who own the property. There are now 53 of them. By the time you leave, you’ll feel like a family member too. Everyone from the bartender to the horse wrangler was a brother or sister and mom was working in the gift shop. I actually stopped in just to thank her for keeping an amazing place like this running for so many years. Our room was huge. When we were invited to stay, the Mayan Dude Ranch asked if we could squeeze into a room with two beds. By my calculation, we could have squeezed about 12 people into the room. 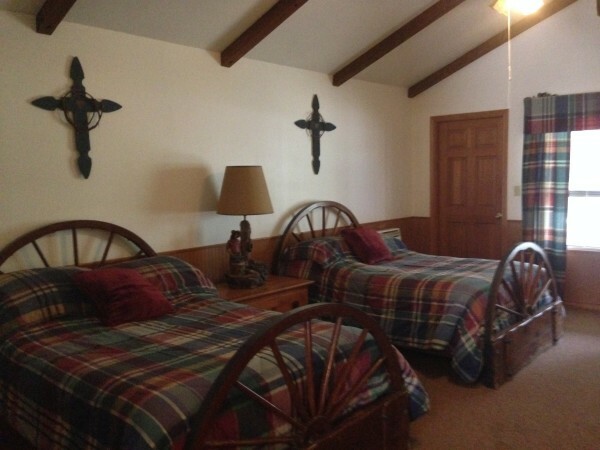 The rooms are quiet and with no wi-fi, they are a true break from the stresses of real life. Instead of writing at night, I took time to cuddle with my kids as we made a tent by the window to watch for shooting stars. Family gatherings are all about food. They don’t miss this fact at the Mayan Dude Ranch. We woke up to a gentle knock on the door (I requested a wake up call) and when I opened it, fresh orange juice and coffee awaited us with a schedule for the day. I watched the truck drive from cottage to cottage doing the same for other families. I took a moment to sit by myself and as the truck drove off about 20 deer came to visit me. As I sat in complete peace, I actually began to cry. Then I cried a lot. I think the moment was overwhelming for a lot of reasons but at the same time I was so thankful to be able to spend time at a location like this with my two children. I went in to wake them and together we snuggled on a swing amongst the deer. Back to the food. We took a hay ride to the cowboy breakfast. Together with other families we sang country classics with a singing cowboy along the way. Once we arrived at breakfast we were served bacon, sausage, hash, eggs and probably the best biscuits and gravy in Texas. The rest of the meals continued this trend with real Texas BBQ and great food being served at every meal. An added bonus when you stay at the resort is that every meal and drink is included in the cost. It was nice to just spend the time together not thinking about the cost of each meal. I’ve already told you about the Hicks family but wanted to make a point to highlight the other families that were visiting at the same time that we were. The tables for each meal are large picnic tables and we often sat with at least one other family. We did not meet a family at the ranch that we didn’t immediately connect with and enjoy. One morning at breakfast, my kids ran off to play and two young gentlemen came over to help me clear our plates. Older kids danced and played with my kids and often gave up their spots in line or turns to the younger kids. I constantly was asking where people were from as they were some of the nicest children I have ever encountered. The amazing part was that they were from all over the U.S. and location didn’t actually affect it. I truly just think really nice families enjoy visiting the ranch. 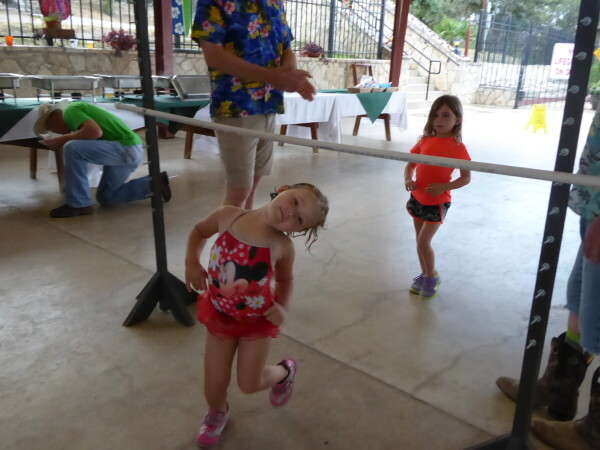 The Mayan Dude Ranch offers a variety of activities for kids. A few nights a week, they have an animal keeper come in with animals for the kids to meet. These range from porcupines and alpacas to lemurs. We got to meet a very sweet porcupine as well as a few other animals. Kids are also invited to do trail riding during the day. 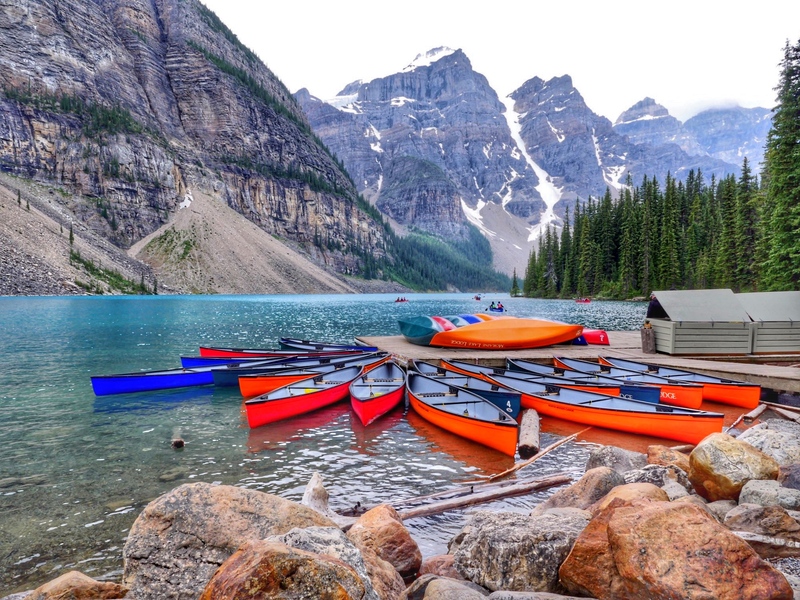 Other activities include hiking, bull whip lessons, steer roping and archery. Another great thing about the ranch is the kids club for younger kids who cannot yet participate in the trail rides. Instead kids 3-5 are invited to do crafts, play outside and explore with a staff member while the older kids and parents hit the trails. 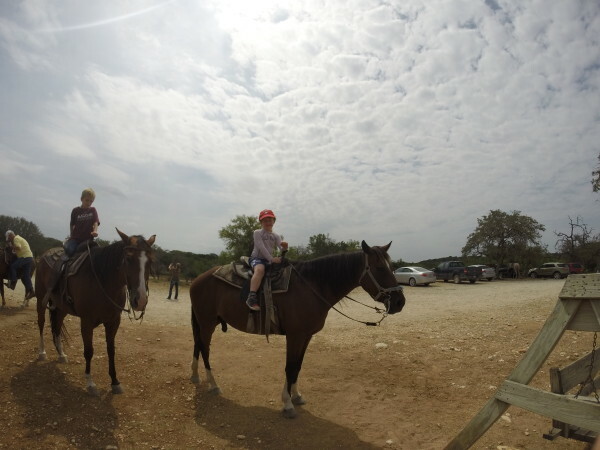 There is also a designated time each day where kids 3-5 can get in the saddle a take a short ride on a horse. When I picked Charlie up from the kids club she was smiling ear to ear and loved the girl who took care of her. She left with about 6 crafts and a new rock collection. Throughout the day and mostly the afternoon, most families are found by the pool. At night, this changes and every one gathers for a meal and a party. 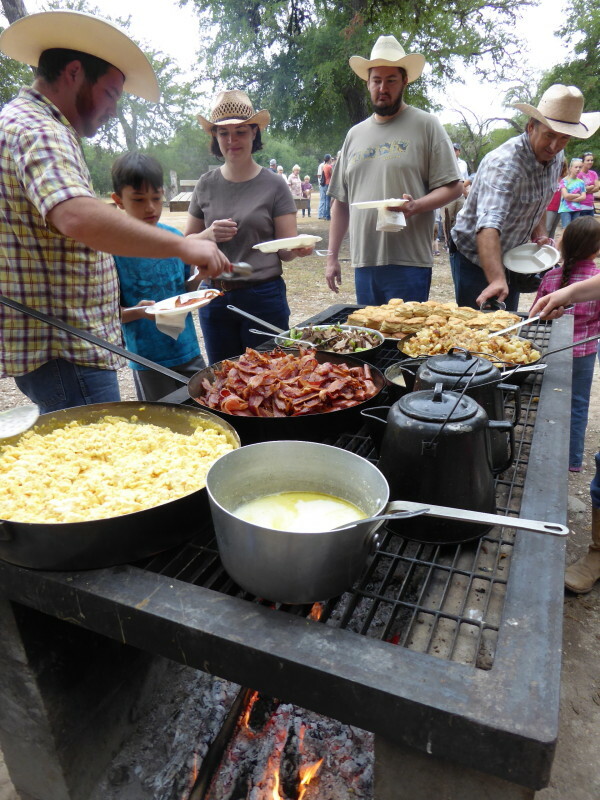 The Mayan Dude Ranch offers nightly entertainment like a luau or real Texas BBQ. My kids loved doing the limbo and watching all the adults get in on the action. This time of night was special as it really was a family affair. Teenagers who had spent the day mingling amongst their peers were found here dancing with their parents and enjoying a family dinner. After dinner, there is a great night time hayride that takes families along the property to see wild deer and donkeys. The ride is topped off by another sing-along. As much as I have described the ranch, I want to make clear that there is something about the ranch that is impossible to capture in words. 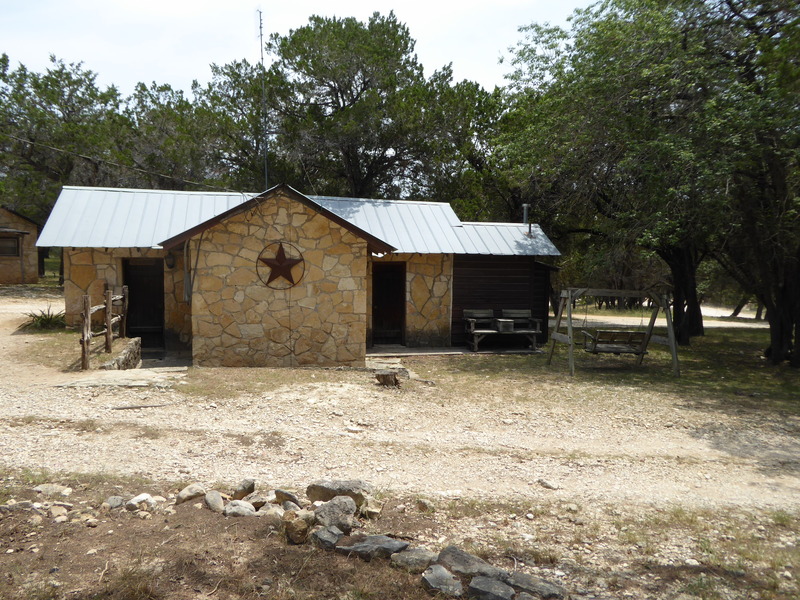 The ranch has a vibe to it all its own that will have you smiling from ear to ear. I have done a lot of yoga in my life but I don’t think I have ever found peace for even a moment like I found at the ranch. My kids truly enjoyed every moment of it and not once did I hear anyone ask for an electronic or to watch television. At night, they wanted to look at the sky and during the day they wanted to play and get dirty. We spent a lot of time just wandering looking at wildlife, goats and bugs. We walked hand in hand at night and sang (rather badly) together on our hayrides. As I watched my 6 year old who is essentially petrified of ponies listen to a real cowboy and ride a horse by himself for over an hour, I knew being at the Mayan Dude Ranch was seriously affecting us for the better. Will found independence and an increased love of nature. Charlie found fun, friends and a million new ways to get really dirty. I found a part of me that had been missing for a while. 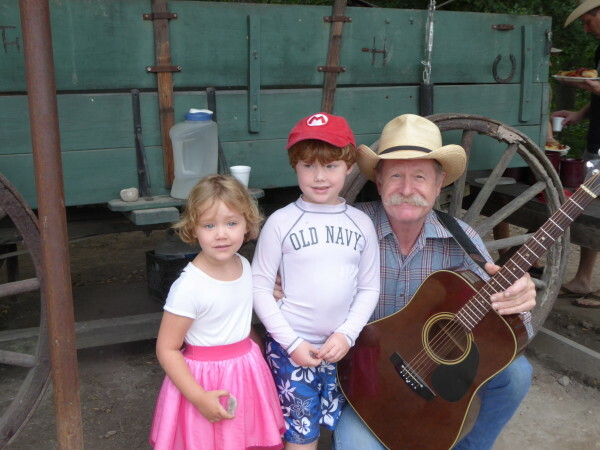 My time at the Ranch finally gave me time to reflect on the death of my father and the fact that my parents didn’t get to experience a lot of the things I am now able to show my kids. This includes the true country life in Texas. I think they would have been proud of how their grandchildren handled it. Music, food and nice pics. Very good. Sounds like an amazing place, Sarah. I’m so happy you were able to experience some true Texas – not the big city stuff – and see how beautiful our state is!! !